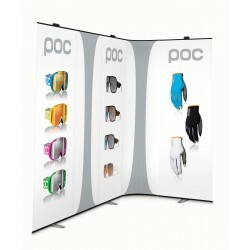 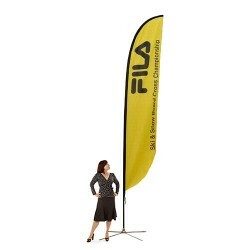 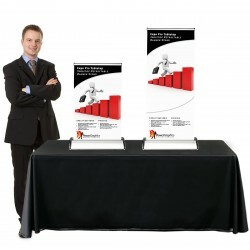 The Illuminator Backlit Banner Display includes the display, choice of fabric graphic and a soft wheeled travel bag. 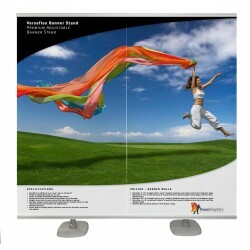 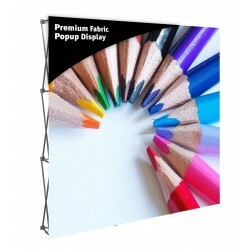 It has an assembled size of 31.5" w x 79.25" h x 15" d, with a total visual graphic area of 29.375 x 76.75. The Illuminator Backlit Banner Display is an eye catching, free-standing tension fabric light box that that works with silicon edge graphics (SEG), also called push fit fabric graphics. 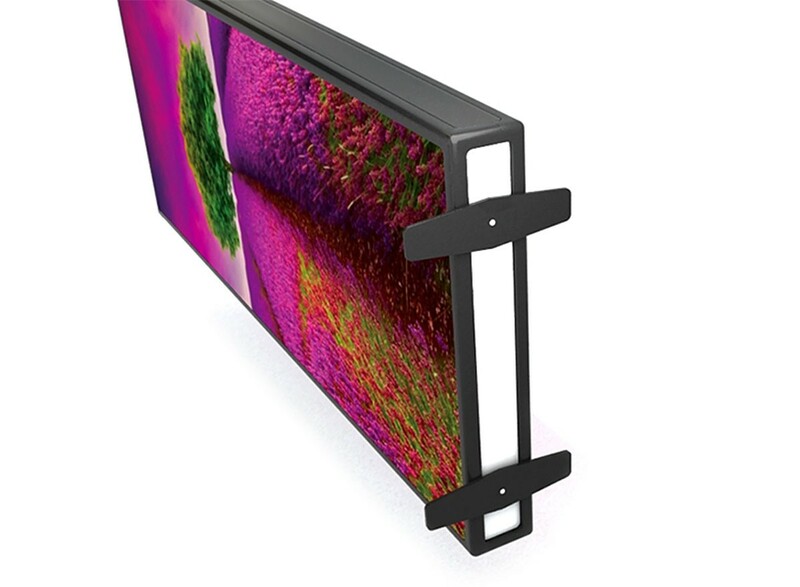 The black frame has channels for graphics on both the front and back that are illuminated by the bright LED lighting that runs up both sides of the frame. 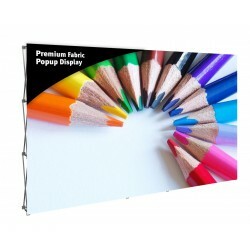 There are also channels on the sides and top of the frame that can be used for custom graphics as well, although these panels are not backlit, and the default configuration is for plain black fabric panels in those spots. 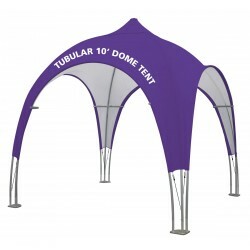 The graphic all have a silicone strip sewn around the perimeter. 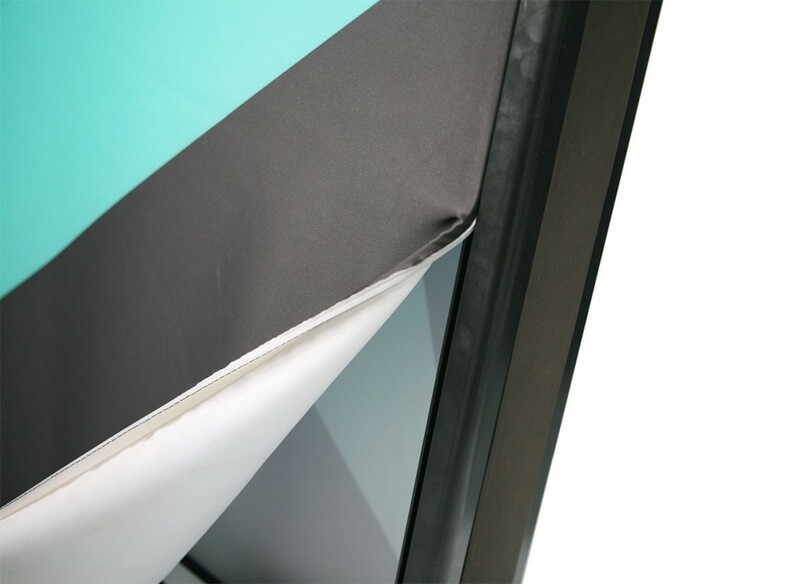 When the silicone edge is inserted into the channel, it pulls the graphic tight and smooth for a clean, professional looking display. 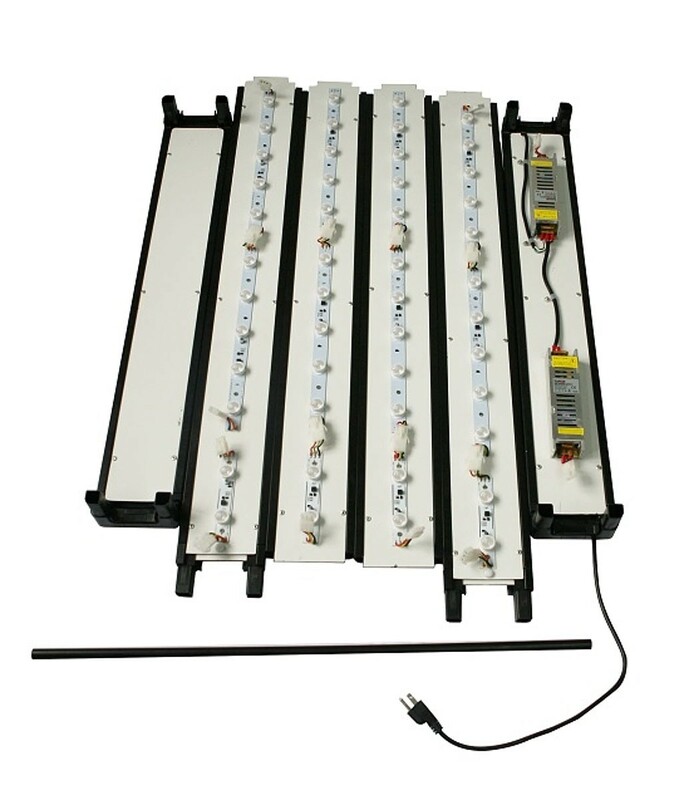 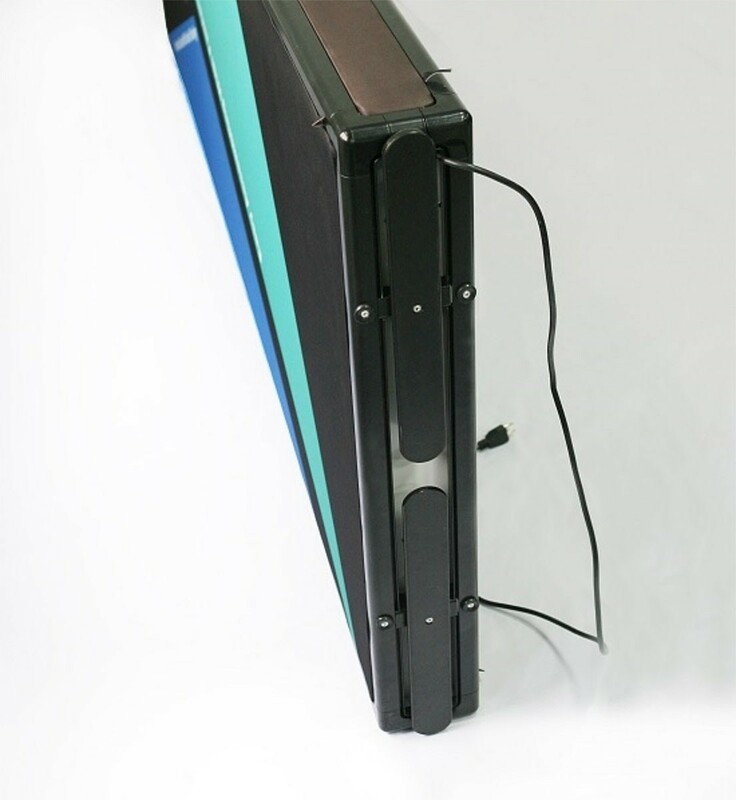 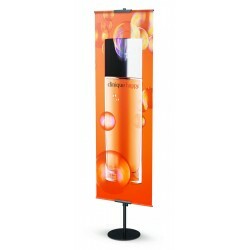 The Illuminator offers bright, even illumination that is sure to draw attention whether used as a trade show display or in a retail store environment. 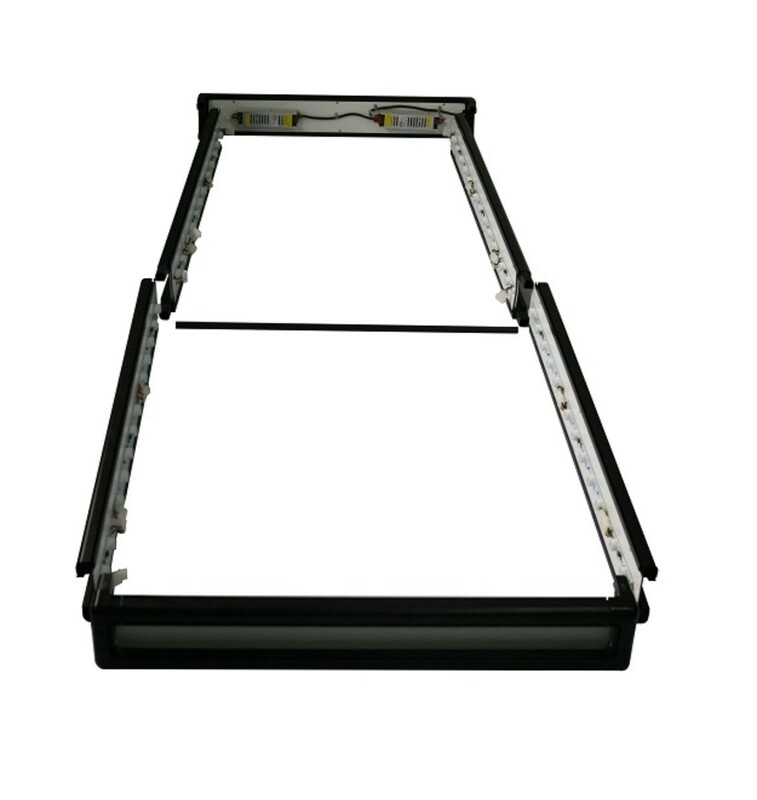 It can be used single or double sided and set up is quick and easy with only 6 interlocking pieces that require no tools for assembly. 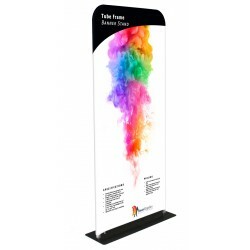 Pivoting support feet on the bottom of the display provide stability. 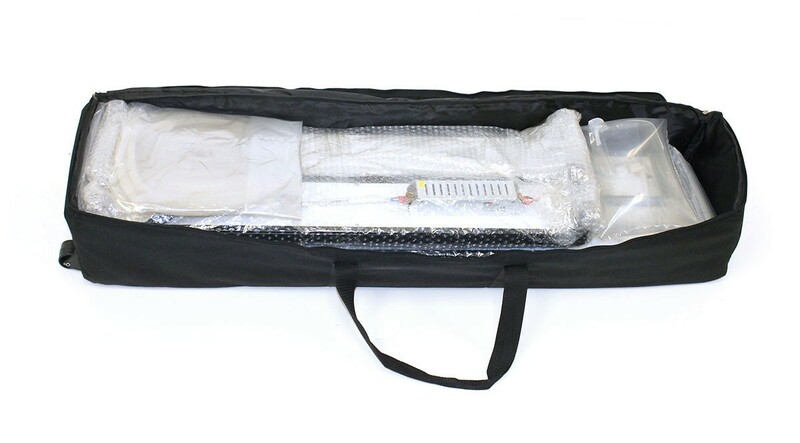 It comes packed in a wheeled, zippered travel bag that makes transporting the display easy and convenient. 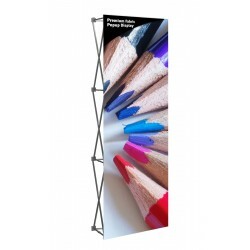 The Illuminator Backlit Banner Display includes the display, choice of fabric graphic and a soft wheeled travel bag. 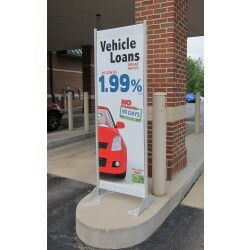 Graphic options include single sided or double sided use with black side panel graphics, or with custom printed side panels. 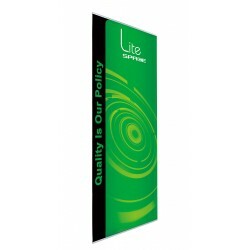 The Vector Frame Backlit Banner 3x8 tension fabric display has an assembled size of 31.5" w x 79.25" h x 15" d, with a total visual graphic area of 29.375 x 76.75. 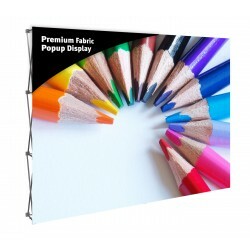 Visual graphic size: 29.375" x 76.75"
Shipping size: 46" x 12" x 8"